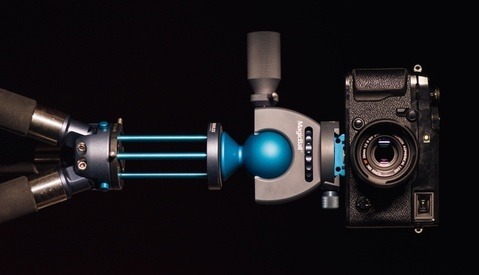 The days of slinging back your closed tripod and gear over a shoulder are over. 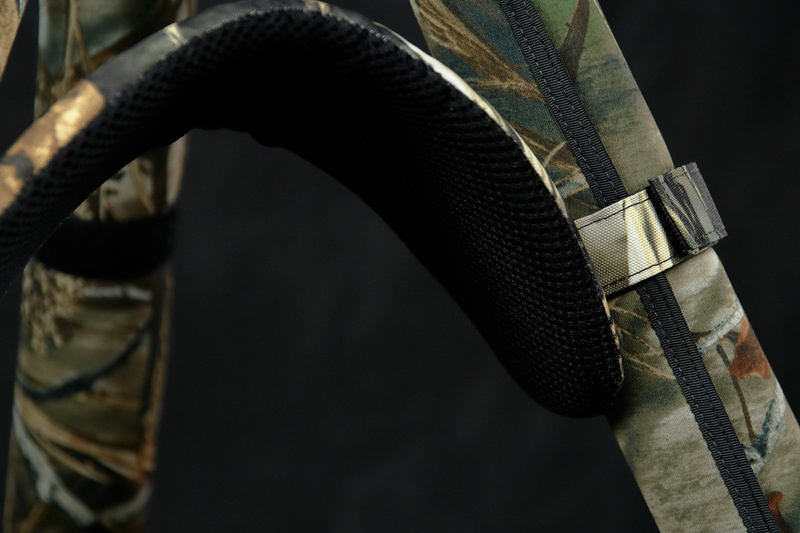 Check out the new LensCoat LegWrap Pro. First, I'd like to disclose that LensCoat did send the LegWrap Pro at no cost to me. However, they had no stipulation about producing a review at all, much less a positive one, and everything here is my own opinion with no oversight by the company. That said, after putting on a couple hundred miles using this product, I'm happy to own the LegWrap Pro. 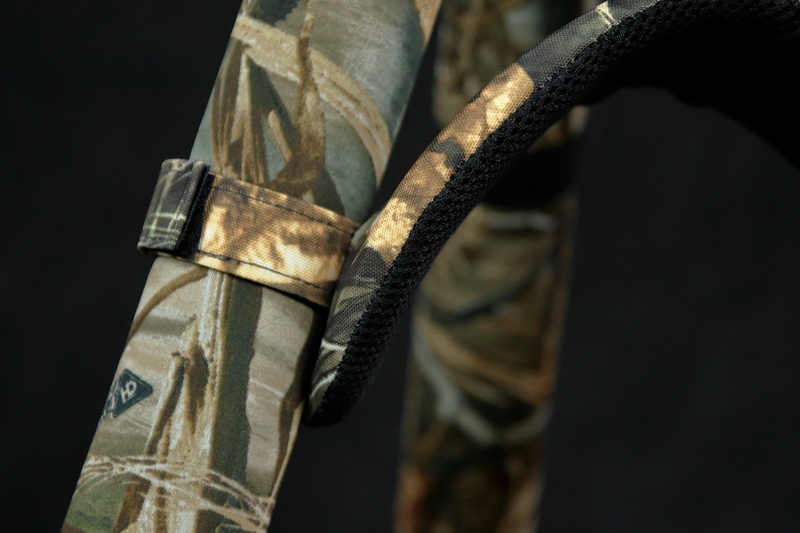 Released in October 2018, the LegWrap Pro is a new product that updates the functionality of the previous non-Pro models. The Pro designation means that these tripod sleeve wraps have a built-in way to attach an included shoulder pad via hook and loop fasteners. This shoulder pad on the LegWrap Pro allows me to carry my tripod spread open and vertically rather than folding up the legs and slinging everything over a shoulder. 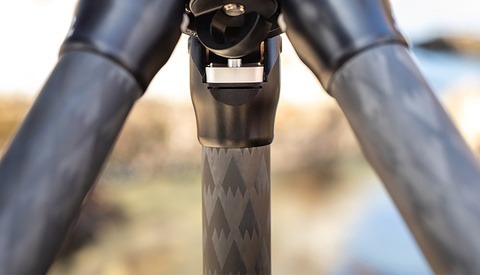 There's much less pressure felt on my shoulder and the weight is distributed over a flat, soft piece of material rather than the unforgiving round tripod legs. Even with the wraps over the legs, it gets to be too much pretty quickly. Carrying a tripod vertically like this, I simply drop the tripod straight down onto the ground to get into shooting position versus when I had to swing a tripod over my shoulder 90 degrees and open the legs to get ready. As you can imagine, the straight drop is also much faster with less required movement. It doesn't sound like much, but when the gear is heavy enough every little bit of physical effort saved feels substantial throughout the day. The LegWraps are made from a soft, squishy neoprene and constructed in the USA. 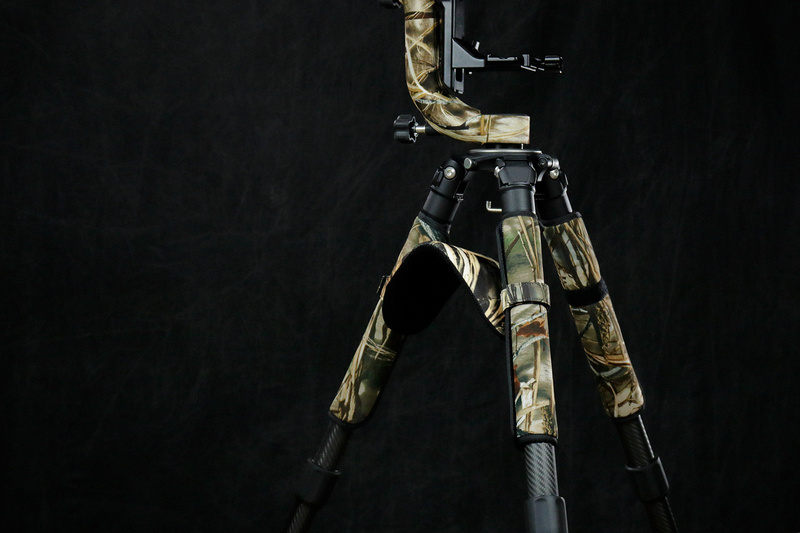 They protect my tripod legs, create a thermal barrier between the legs and my hands, break up the long black straight lines of the tripod legs with the camouflage pattern, and overall the sleeves make lifting and carrying my tripod more comfortable. 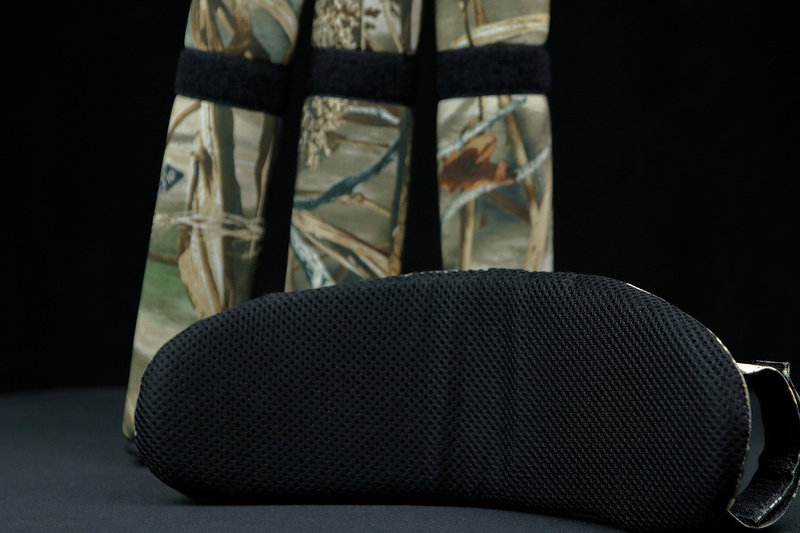 There are eight color options: Digital Camo, Forest Green Camo, Realtree AP Snow, Realtree Max4, Realtree Max5, solid black, solid red, and solid yellow. The pattern I have that you see in these photos is Realtree Max4. LensCoat also has eight different sizing options to match with many different tripod models. Because clicking a bunch of links to find the size to match is never fun, below I've listed the compatibility of each LegWrap Pro size. Remember to only measure the topmost leg section as that's where the wrap will go. Installing the LegWrap Pro is simple enough, just make sure you order the correct size so they fit. 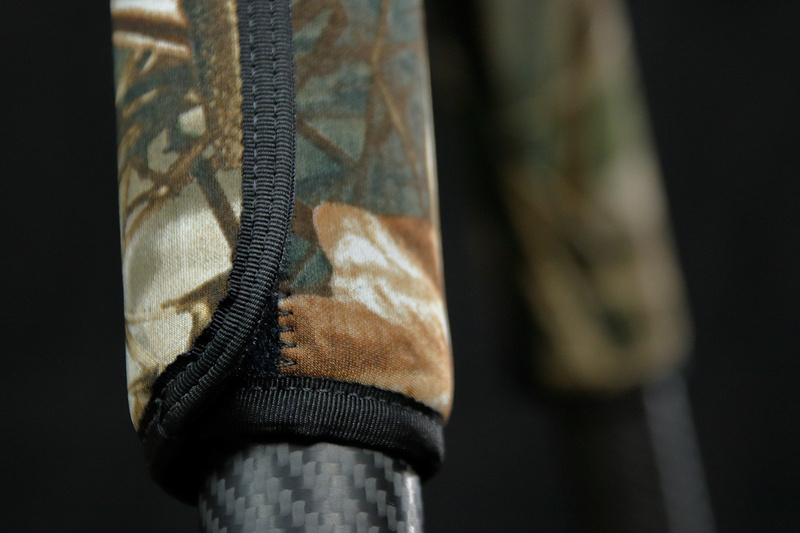 The inside of the LegWraps has a rubber-like coating the doesn't allow the sleeves to twist or slide on the tripod leg. The shoulder pad included with the LegWrap Pro is optional and can be affixed to any two of the three tripod legs. 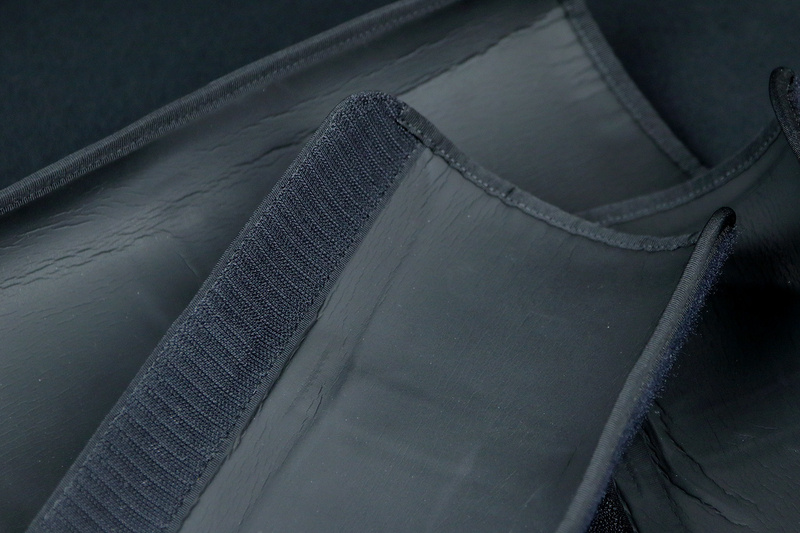 Like attaching the LegWrap sleeves, the shoulder pad uses hook and loop fasteners on both sides to secure it. There are a couple issues to be aware of with the shoulder pad. First, the tripod legs can't be spread apart for low-angle shooting when the shoulder pad is affixed to the LegWrap Pro. If I'm photographing wildlife, undoing to touch fasteners to get lower is loud, so it requires a little planning ahead. If I need to, I'll undo one side of the shoulder pad so the tripod can be lowered. The other issue is that when carrying my tripod opened up so that the camera sits at about eye level, with the shoulder pad in use, there's a limited clearance from the bottom of the tripod to the ground. After some time getting used to it, I'm much better at this, but in the beginning I'd constantly poke a leg into the ground. Depending on how fast I'm walking, it can feel like suddenly stepping into a wall because my weighted tripod just stops. Now I just have to be more mindful of big rocks and such laying on the ground that I might not clear without a little swing up of the tripod. 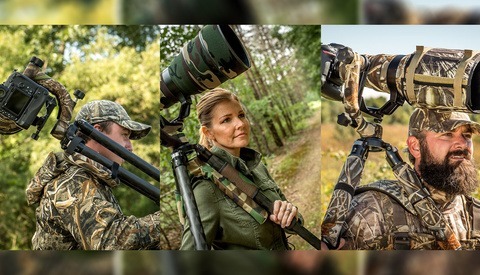 One last thing to address is that when carrying the tripod utilizing the shoulder pad with the legs spread apart, it can be more difficult to navigate the thicket or tall grasses. This is where it would be advantageous to carry it old school with the legs together and dropped back over the shoulder or briefcase style to stay nimble. Can carry heavy load for far longer without needing to take a break. 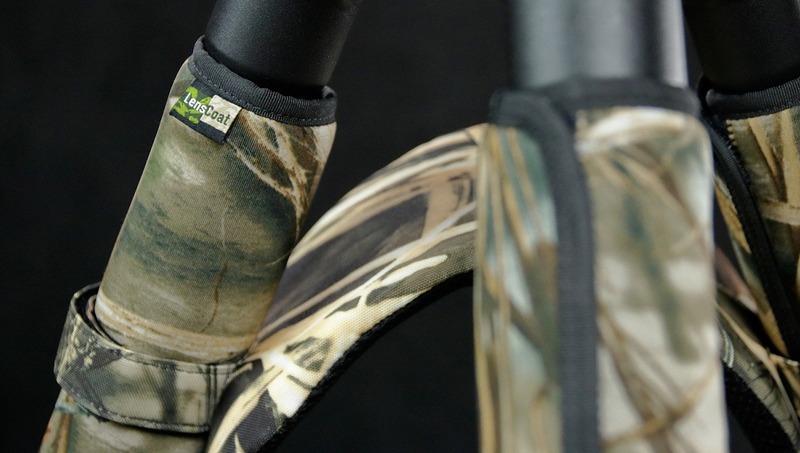 Creates a cushy thermal barrier between tripod and hand. Doesn't slip, and multiple size options means a more custom fit for each tripod. Variety of camouflage patterns and solid colors. LensCoat has been at it a long time. Materials, stitching, looks are all on point. These are made in the USA. Can't spread tripod legs all the way for low-level shooting with shoulder pad attached. With my tripod, the legs can't move into the second position before hitting the maximum extension of the shoulder pad. Until I was used to carrying the extended tripod with the LegWrap Pro, there were times when a leg snagged the ground as I'm walking. Can't utilize the shoulder pad carry in dense forest or tall grass. 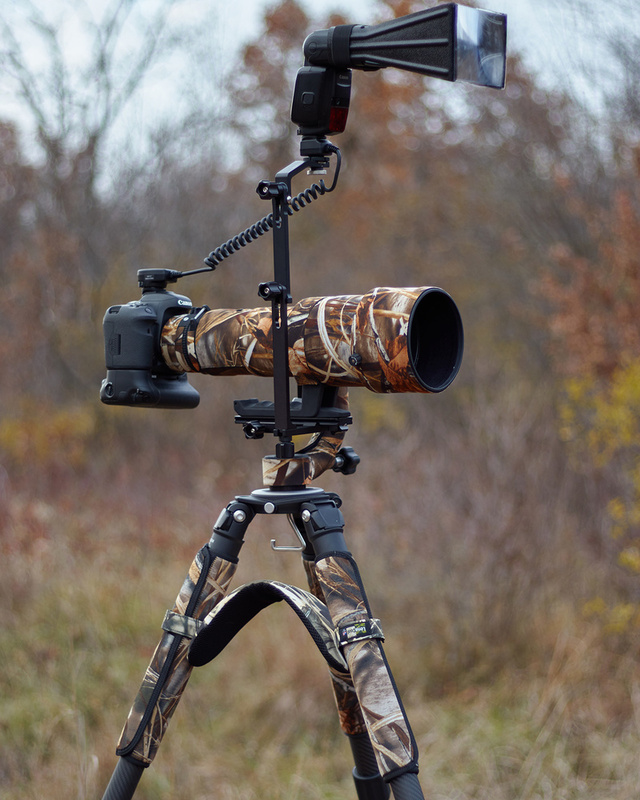 The LensCoat LegWrap Pro is available in a variety of lengths and leg diameters to match your tripod and priced between $79.99 and $89.99, depending on the color pattern chosen. Overall, I say these are a great addition to any tripod that is frequently carried and the shoulder pad is worth it over the non-Pro models that don't feature it. The best way to carry a heavy tripod is to pay someone else to carry it for you. You're a genius! Why haven't I thought of that one before haha. Hate to sound ignorant, but what is the thing attached to the front of the flash in the second picture? It obviously ain't a softbox. I noticed that there were no examples of tripods with center columns.......?? Here again, I have to tell you, and remind you -- a company is only as good as they say they are, once they have your money. I purchased a set of these heavy duty wraps for the occasional outings in the colder months. After about 3 months, one of the wraps had a seam issue, whereas the piping was unraveling from the main material. The second wrap started to loose the hook & loop stripe also due to shoddy sewing. Keep in mind this is just one set of wraps. So I call them, let them know the details.... And, basically told to go pound salt. They weren't interested in my issue or, doing anything about it. I drop companies like this as if they were laced with Ebola. Anyone that markets the ever-loving crap out of their goods and shows them to be doing a job....only when you've made that investment with them, and then have issues. Life it too short, money too hard worked for, and I don't have the time nor patience to deal with people willing to take the money, but not stand behind what they sell.